The culinary name given to the muscle tissue or meat which comes from the cow. 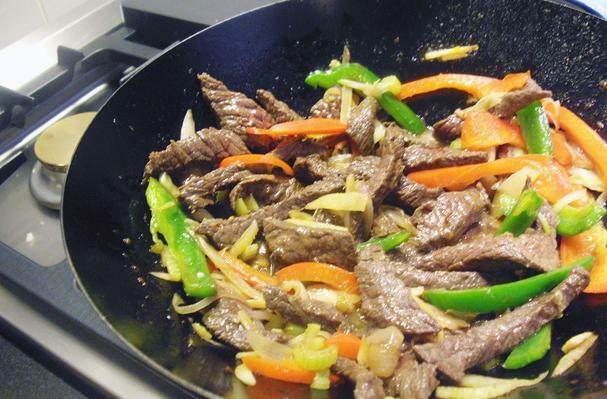 Beef is considered to be a red meat that provides a good source of iron, and essential amino acids. There are different grades and cuts of beef that are used to create a range of meat dishes, including the ever popular hamburger, ribs and steak. Beef is available in a wide variety of cuts throughout the year. The different cuts range in texture and tenderness, as well as fat content, making beef a very versatile food.The leanest cuts of beef are taken from the back leg bone, called the round bone. These include eye of round, top round, and bottom round. These cuts are the leanest (most muscular) because the cow uses its back legs as its primary means of movement. The underbelly, including rib, ribeye, spare rib, and brisket, is the site of the fattiest cuts. Choosing: Always examine the sell-by date on the label and choose the beef with the latest date. The muscle portion of the meat should be a red or purplish color and not brown, which is a signal that the meat has been excessively exposed to oxygen and is spoiled. Purchase beef that has the least amount of fat. Healthy sauté thin slices of steak with onions, garlic, fresh basil, lemongrass and chili peppers for a southeast Asian inspired meal. Add ground beef to tomato sauce and serve over pasta. Skewer cubes of beef with your favorite vegetables, brush with a little olive oil and grill. Since beef is highly perishable, it should always be kept at cold temperatures, either refrigerated or frozen. Refrigerate the beef in the original store packaging, if it is still intact and secure, as this will reduce the amount of handling involved. Length of storage varies with the cut of beef as larger pieces will have a longer shelf life than pieces with increased surface area. Ground beef will keep for about one to two days, steaks for two to three days, and roasts for three to four days. While people in the U.S. think that hamburgers are the all-American food, beef is a relatively recent introduction to the U.S. Before the 16th century, cows and therefore beef were not known in Western Hemisphere. They were brought to central and south America by the Spanish conquistadors who invaded these regions. Cows and beef later came to North America with the early colonists. History: Cows were first domesticated for beef in the regions of Greece and Turkey about 4,000 years ago. Cows and the meat that they provide have been revered in many civilizations throughout history, even being considered sacred in India and some parts of Africa. Beef consumption has long been considered as a symbol of prosperity and wealth. what!